Residents, councillors decry long waits for bylaw enforcement — so could more officers be the fix? Toronto residents are raising questions about whether the city's bylaw officers are handling complaints in a timely manner — with some questioning if there are enough officers to meet the demand. In November, Susanne Carnelos felt there was a light at the end of the tunnel when it came to the fluorescent lights "beaming" into her Leslieville condo from nearby offices. City inspectors had determined the office space beside her five-storey building near Queen Street East and Carlaw Avenue was causing a problem — and gave the property several weeks to fix things. But more than three months later, and following a CBC Toronto story, Carnelos said there has been "zero improvement" on the part of the property owner, forcing her to shell out cash for custom-made window coverings. "The specific [bylaw] officers I've dealt with on this light issue ... they seem to really want to help," she said. "But they seem to be limited in their ability to do so because of the way the system is set up." She's not the only Toronto resident raising questions over whether the city's bylaw officers are handling complaints in a timely manner when it comes to more than 30 municipal bylaws, which address various issues from graffiti to property standards to noise levels. Some question if there are enough officers to meet the demand. Waterfront resident Ulla Colgrass, for instance, has been speaking out about noise in her neighbourhood for nearly two decades. Summer concerts reverberate through people's nearby units, she said, and complaints to the city over the years have led to little recourse. Instead, Colgrass said residents are often left frustrated by city requests for them to log their concerns. "The onus of making noise must rest on the noise makers, not the suffering recipients," Colgrass said in an e-mail. "The noise logs that [Municipal Licensing and Standards] requires to lodge a complaint, are useless and abusive of residents." And because city staff "never offered timely or effective" help, she said many residents simply stopped calling. 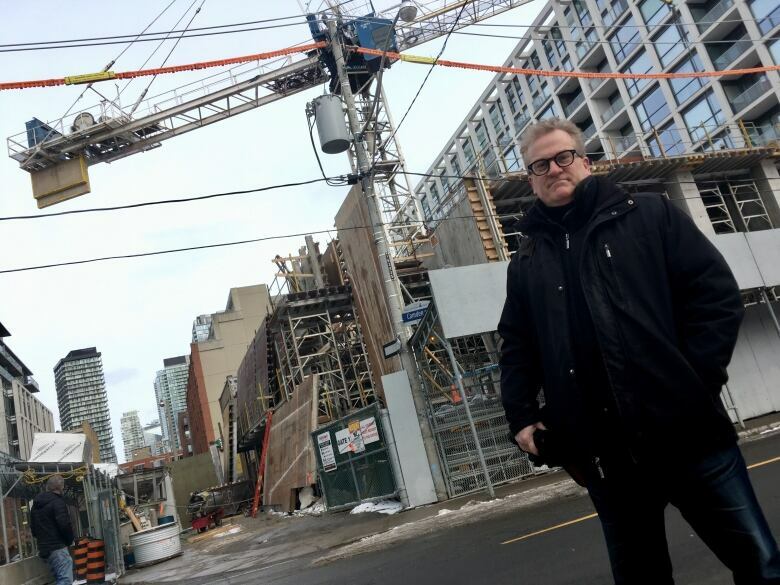 Robin Lobb, executive director of the Toronto Entertainment District Residents Association, shared a similar concern about construction and nightclubs in the downtown core: Community members have brought up concerns about noise at different sites over the years, but little seems to change. "Here, of course, there's too many people. There are too many issues and infractions," Lobb said. "There's just not enough resources to respond effectively." So what, exactly, are the resources available to the city's bylaw team? According to Mark Sraga, director of investigation services for the city's Municipal Licensing and Standards department, the city employs 235 bylaw officers — one for around every 12,000 residents. Nearly all their work, he said, is driven by resident complaints, with a standard response time of five business days. While that might be frustrating for residents, Sraga stressed it's not meant to be an immediate service. But when problems continue, that's when the city steps in to educate bylaw-breaking residents and encourage them to comply. In some instances, that can mean things ramp up to fines, or taking someone to court. "We're always looking to see how we can be more effective and efficient," Sraga said. On the noise front, for instance, the city recently held five public consultations as part of a review of Toronto's noise bylaw hoping to better protect residents and enhance noise standards. Residents can submit feedback online by Feb. 28, and a report to council is expected this spring. More broadly, multiple councillors — who often bear the brunt of resident concerns — say boosting staff levels may be the key to speeding up the enforcement process. "We're not doing a good enough job," said Coun. Josh Matlow, who represents Ward 12, Toronto-St.Paul's, and believes higher bylaw officer staffing levels is crucial, particularly on evenings and weekends. "You would not be told by 311 that someone would come in five days for drilling at night if we were doing a good enough job," he said. Jim Karygiannis, councillor for Ward 22 Scarborough-Agincourt, said alongside more officers, the city needs to give them the "tools" they need, like asking the province to allow them to enter homes when needed. "It's the issue of the resources that we need and we don't have," echoed Ward 21, Scarborough Centre Coun. Michael Thompson, though he added it's a "balancing act" when it comes to where the city should be spending taxpayer money. Coun. Stephen Holyday, who represents Ward 2, Etobicoke Centre, also stressed that while bylaw officers aren't police, they do have to take time and build a case when residents don't comply, which contributes to the slow-moving process. "I think we will learn from city management over time what they need from a resource perspective," he added. When asked about staffing levels, Sraga said amid the current budget process, there is a request for 16 additional bylaw officers — which would bring the total up to 251, if council approves it. For Carnelos, the bottom line is she just wants the process to speed up, so that residents like her aren't the ones paying money for a fix like window coverings to block out a neighbour's bright lights — a decision she calls a "frustrating" last resort after bringing her concerns to the city multiple times. When asked about her building's situation, a spokesperson for Municipal Licensing and Standards said a property standards order was issued to the adjacent office building's property manager on Nov. 1, requesting that the building comply with the Toronto municipal code. Since that time, staff have remained in touch to discuss "mitigation efforts," including new window treatments, the spokesperson told CBC Toronto, which have so far fixed the problem for "some" residents. Carnelos, however, isn't one of them. "I still have light blasting in at 5 a.m. every single morning," she said.